Who didn't love it when the teacher would pull one of these out at school recess? 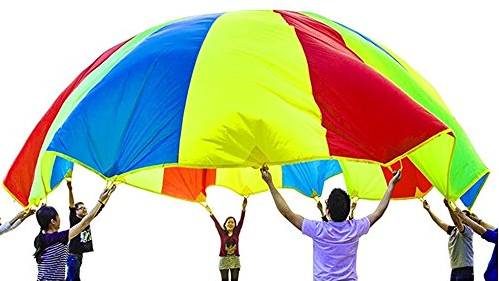 The Play Parachute provides hands-on motor skills and cooperation development for children, and comes with colorful plastic balls to bounce on its surface. 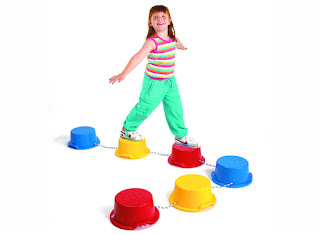 Help your child develop confidence and balance with these bright and colorful "stones" connected by adjustable ropes. Start small with little gaps to run and jump across, and when they're ready, lengthen the ropes to give them an exciting challenge! A fun twist on the classic game of tag! 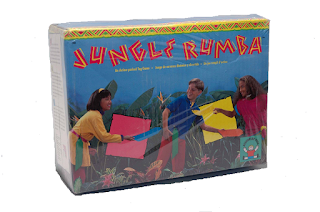 The game comes with colorful flags that you can grab from other players and stick on your own clothing. Whoever has the most flags wins the game, but watch out before your own flags get grabbed away first. 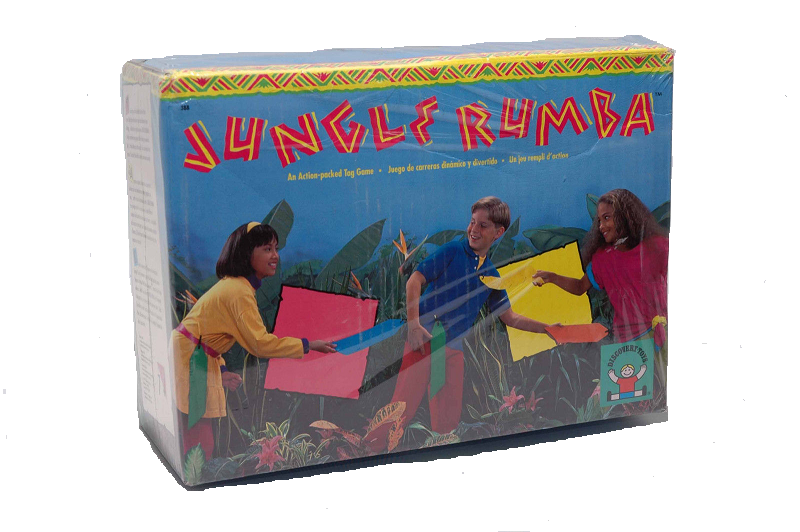 You can find these games and countless others in the Motor Skills section of our shelves. Come find something to engage your child as the seasons get warmer and more inviting. And always remember to have fun! We're here to support your child's growth, every step of the way. We look forward to seeing you soon. Happy Spring!